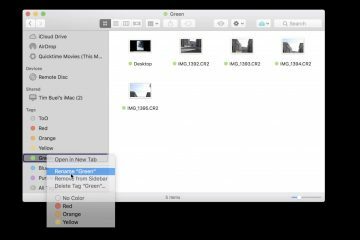 I recently wrote a guide detailing how to get full quality video from your iPhone to your PC because Apple doesn’t yet have any official way to export HD or full quality video from the iPhone directly to the web. 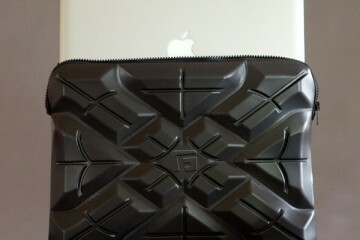 Fortunately, it is now possible, thanks to a service called Pixelpipe. Pixelpipe actually does a whole bunch of stuff and can link into a wide range of services. 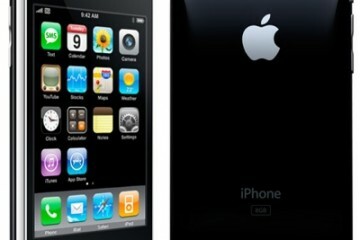 However, I’m going to show you how to use it to get HD content directly from your iPhone to YouTube, for free. 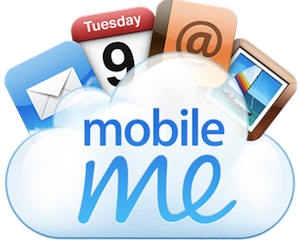 While this solution is particularly has the iPhone 4’s HD video content in mind, you should see an increase in quality if you use this method with older iPhone’s, such as the iPhone 3GS. This is because the iPhone’s default YouTube upload process compresses all video (even standard definition video). Before you begin, two caveats. 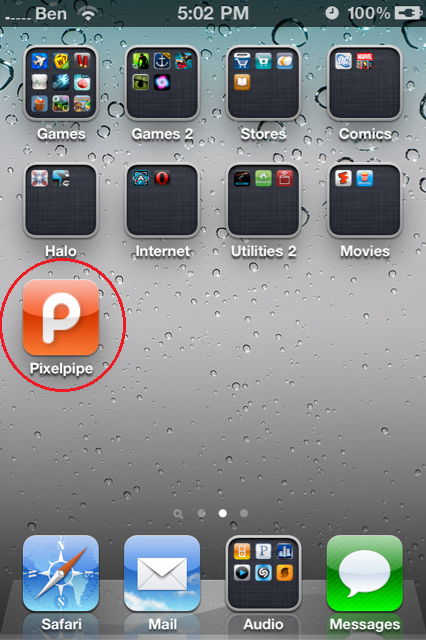 The Pixelpipe iPhone app can be a bit buggy when signing in, though I’d expect this to be fixed eventually. 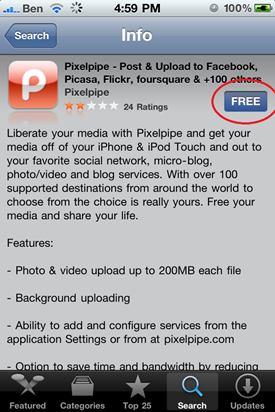 Pixelpipe says it only supports uploads up to 200MB (I’m currently testing this to verify). If you already have a Twitter or Ovi Share account, you can use those to sign-up with Pixelpipe. If not, go to the next step. 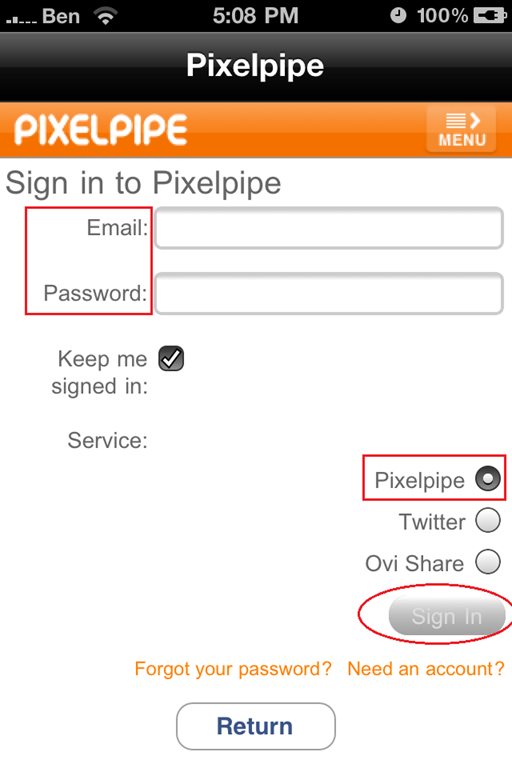 If you need a new Pixelpipe account, enter your name (username), a valid email address, and create a password. Also check the box next to I agree to the Terms of Serviceâ€, then click the Sign Up button at the bottom right. In the world of Pixelpipe, pipesâ€ represent the various services that Pixelpipe can send your content to. I’ll show you how to add a YouTube pipe, but you can feel free to add others as you see fit. Click on the Add Pipes button on the right side of the page. 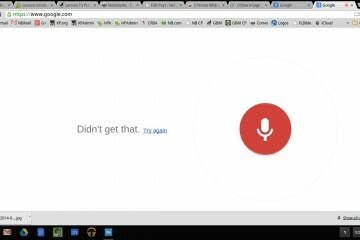 Type YouTubeâ€ into the Search By Name box, then click on the YouTube icon. YouTube will ask you to sign in (if you aren’t already), then ask you to give Pixelpipe access to upload videos to your account. 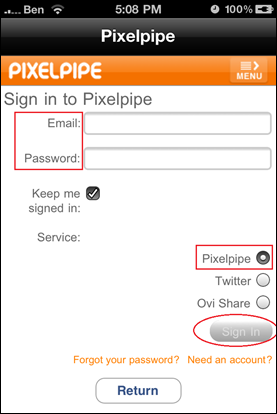 Click Allow Access to give Pixelpipe the necessary permissions to upload videos to your YouTube account. 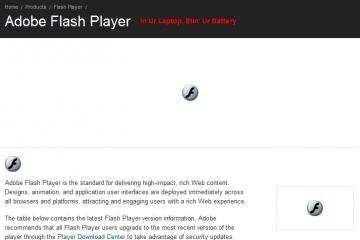 Ensure that you see the confirmation page (pictured below). You don’t need to do anything on this page, other than confirm that the pipe has been added (you can change the settings at a later time if you’d like). 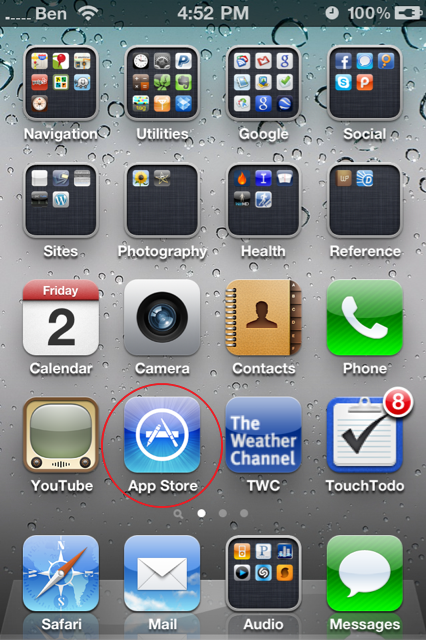 If you are reading this guide on your iPhone, this link should take you directly to the app in the app store. If not, continue reading. 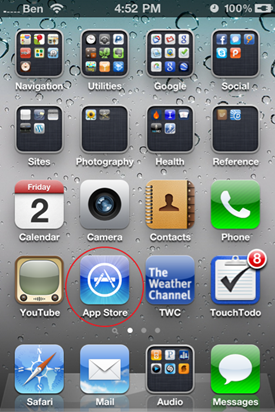 On your iPhone, launch the App Store (you can swipe all the way to the left on your homescreen to pull up Spotlight search to find it quickly). 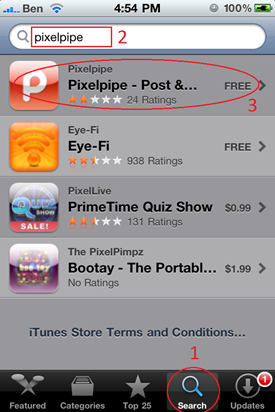 Click on Search at the bottom of the App Store and search for Pixelpipeâ€. 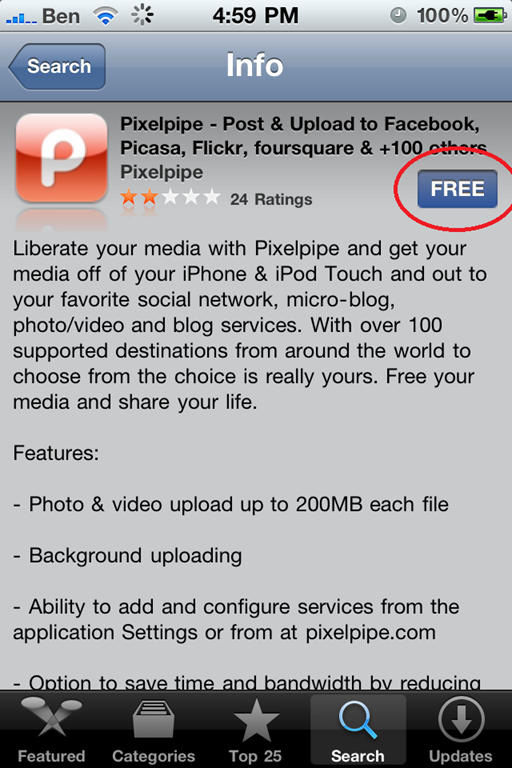 Click on the Pixelpipe app in the results list, then click the Free button, which will then turn into an Install button. You’ll be prompted for your iTunes password. 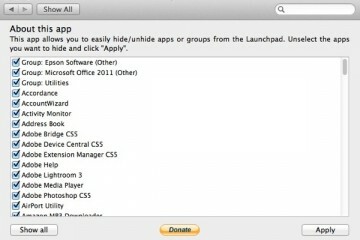 Enter it and the app will be installed. 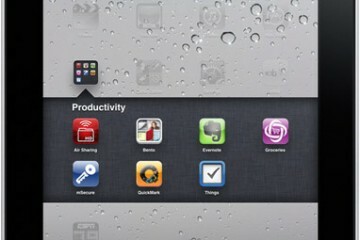 You will be prompted to allow the Pixelpipe app to access your location, which can be used to geo-tag photos and videos. 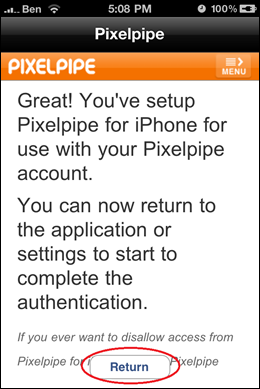 Pixelpipe appears to require that you give it access in order to function correctly. 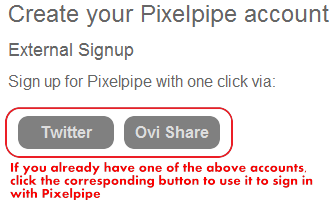 Sign in using the Pixelpipe account that you made earlier. 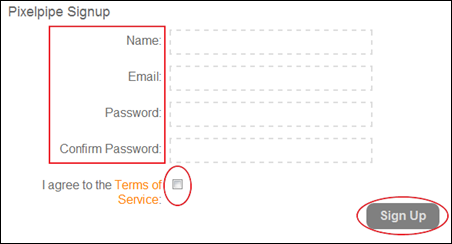 After receiving confirmation that you’ve signed in, click the return button. Go to the Media tab that you made at the bottom of the page. This page will list all of your photos and videos. Click on each photo or video that you’d like to upload to check it off, then press the Upload X Item(s) button. To verify that the upload has gone through correctly, go to https://pixelpipe.com/ and sign in. 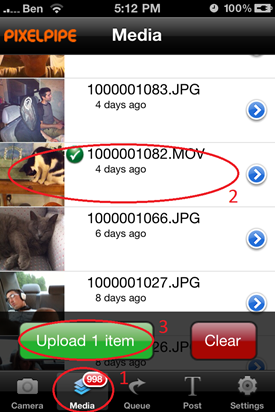 Your most recently uploaded media should be posted in the Home section. Then go to https://www.youtube.com/my_videos to see that the video made it to YouTube. The video will have a default name such as M1000000.mov, you can change the name and video details as you would normally on YouTube. The HD tag will not show up immediately, but will once the video has finished processing.